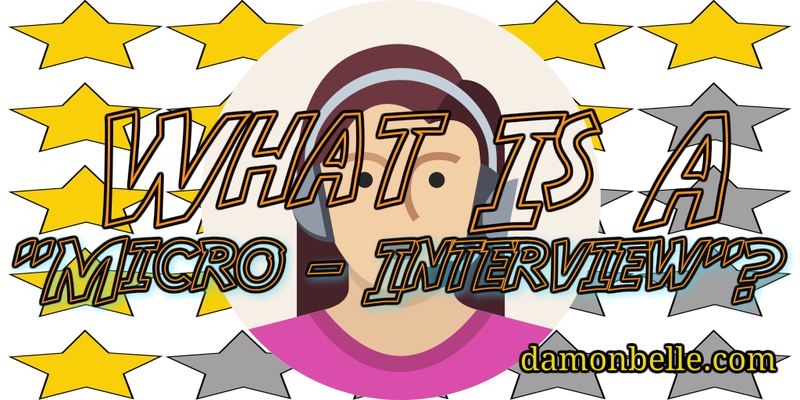 So… what are exactly are Internet Marketing “Micro-Interviews”? It’s a process I came up with to get “real” information on any product I recommend to anyone. It’s really just a result of me being “fed-up” with the product reviews that I see all the time, every single day, in the internet marketing space. Essentially, all it is – is a very short and extremely concise email or video interview with a product vendor, or creator about their product. For the sake of this article I’m speaking about products that are in the Internet Marketing space. 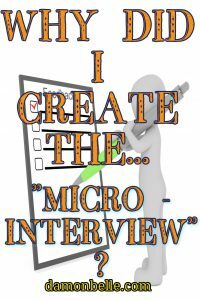 Why did I come up with the “Micro-Interview”? I’m so sick of seeing reviews for products that is blatantly obvious that it’s only there to try to sell you something, and not to try and help people get the right information about the product in order to come to the right conclusion as to if they should buy it or not. So, I thought, the only way I can combat this is to take the time, effort, and energy it takes to reach out to product vendors with some very specific questions about the product and see if they’re willing to give me the answers. The questions I ask do not really have much to do with the product itself, because I feel that most people who are looking at product reviews ALREADY know what the product is, and what it does, for the most part. What’s results do “Micro-Interviews” achieve? So my goal with the questions I ask is to get the back-story on the product, and to find out what’s the product creators intentions for the product for the future. (Because there’s nothing worse than purchasing a product that you “think” will be supported only to find out it’s been abandoned and is now unuseable.) If the product vendor has no plans to update the product, that’s cool, but at least you can know this upfront so you know what you’re getting into. Another goal I have is to see how the product vendor/creator’s are going to treat their customers AFTER they buy! Now, granted, a person or company can say one thing and do another, but at least we know what they said they would do for their customers in the beginning before ever we decide to spend money with them. To sum it up in a nutshell, I’m looking for TRANSPARANCY with any products that I recommend you buy. This is important to me because of what I’ve experienced in the Internet Marketing space for over 10 years now. To make you buy. That’s it. period. Every now and again you’ll have a marketer who REALLY wants to help people and not just want to sell, sell, sell. This is also what I was trying to mimic when I recommended products, but I never enjoyed that way of reviewing a product, and I always wondered if there was a better way to do it. What exactly is a “Micro-Interview”? This is where I send the product vendor 7 questions about the product they have, and give THEM the opportunity to be transparent about the product. From now on, this will be the ONLY way I promote a product that I don’t own myself to be able to vouch for. It is my hope that doing things this way will allow me to gain trust from you about the products I share with you, and also giving you an opportunity to get some information about the product that you won’t be able to find anywhere else, because most of the other marketers out there are only concerned with commissions only, and not trying to help you to know if you’re spending your money wisely. I will be turning these Internet Marketing “Micro-Interviews” into videos where I will read to you the answers that I received from the product vendors that was sent to me. I want to thank you for your time and the connection that we share that brought you here to connect with me. If we’re not personally connected on social media I’d love to do so! Be sure to send a request so we can rise together!